From day one you are given design briefs as you would in industry – every part of the course is focused on developing you as a designer. 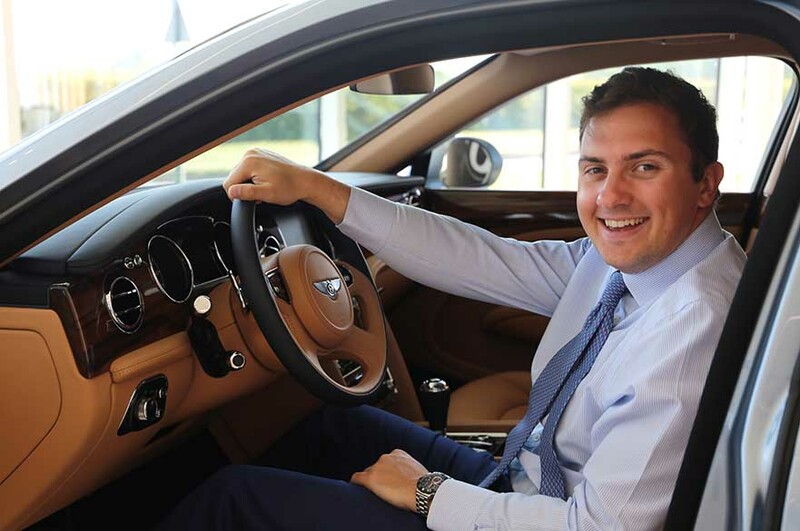 “I had a placement year at Bentley Motors. I worked in the team who train the retailers across the world about the new cars and produces that were being released. My role within the team was to create training videos about these new cars and also to create eLearning modules which retailers could complete online across the world. These were also translated into 5 different languages so my work was being seen and completed by a global audience. “For me being able to mix both design and engineering is really good. It allows me to play on my strengths. From day one you are given design briefs as you would in industry – every part of the course is focused on developing you as a designer. “We went to Berlin for a week as part of the course. This was a great way to experience a city from a design point of view. We had a few things which had been planned for us and also a good amount of free time to go and visit places were of interest to us personally. We then had to write up an essay based on one aspect of the culture of the city from a design point of view. How do you find the support on your course? “All of the staff are really friendly and all give great advice. There’s a really good spread of tutors with different backgrounds in design. They’re always willing to put time aside to help you out. In terms of project support of you have an idea which is good then your they will let you know however if something can be improved they will not hold back in discussing how something may be changed or developed – as would happen in the real world.